90+3 Full time at Poljud. Hajduk - Lokomotiva 2:1. 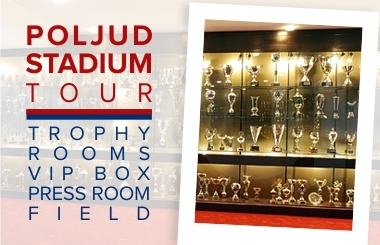 Well done Hajduk! 89 Radonjić shot from a tough position, off target. 84 Hajduk making the last change, Gyurcso instead of Jairo. 83 Kalik shot from 20 meters, Lokomotiva defende clears, corner kick for Hajduk. 80 Lokomotiva making substitution, Maružin on, Knežević off. 78 Karačić cautioned for a foul on Bradarić. 73 Dangerous situation for Hajduk after a set piece. Posavec had two great interventions with his feet, he first saved Radonjić's shot on goal and then Uzuni's. 72 Hajduk's substitution: Delić instead of Tahiraj. 71 Lokomotiva substitution: Mlinar on, Datković off. 63 GOOOOOOOOOOOOOOAAAAAAAAAL 2:1 Mijo Caktaš! Jairo passed to Tahiraj who was in a good position to shoot but he leaves for Mijo Caktaš and Hajduk's midfielder scores for another Hajduk's lead. 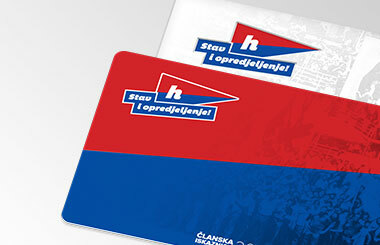 There are 17 308 supporters of Hajduk at Poljud this evening, of which 1049 on the Family stand (entrance U). Thank you! 62 Hajduk making first substitution, Hamza instead of Palaversa. 60 Tudor shot from 20 meters, Lokomotiva's goalkeeper saves. 54 Radonjić on, Kastrati off for Lokomotiva. 53 GOAL 1:1 Lecjaks crossed on the left side and passed to a lonely Uzuni at 13 meters, who scores an equalizer. 52 Jairo shot from 17 meters, Lokomotiva goalkeeper saves. 46 Great chance for Hajduk right at the start of the second half. Jairo shot, Grbić saves. 46 The second half has started. No half-time substitutions. 45 End of the first half. Hajduk leads 1:0, Ardijan Ismajli scored for a lead. 41 GOOOOOOOOOOOOOOOAAAAAAAL 1:0 Ismajli! Well deserved lead of Hajduk. Palaversa took a corner kick, Ismajli tried a header from five meters and scores for 1:0 lead. 38 Great one-two pass of Jairo and Bradarić, Hajduk's captain shot from 15 meters but his attempt was blocked. 35 Bradarić took a free kick and aimed at the upper left corner, it was close but wide left. 34 Nejašmić fouled at 23 meters, free kick for Hajduk. 30 Palaversa shot from a distance, wide. 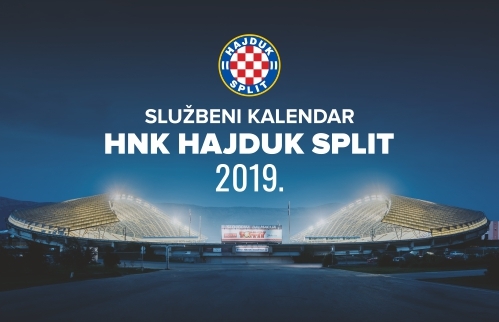 28 Another great chance for Hajduk! Palaversatook a corner kick, Lopez tried a header, Grbić saves. 18 First chance for Lokomotiva. Knežević took a corner kick, Karačić tried a bicycle kick from 10 meters, wide. 14 Bradarić passed to Tahiraj, whose shot was off target. 6 New great chance for Hajduk. Kalik crossed through the middle and passed to Caktaš, after a one-two pass Kalik shot off target. 5 First chance for Hajduk. Tudor passed to Caktaš, who tried a header from 12 meters, wide. 1 The match has kicked-off, good luck Hajduk!